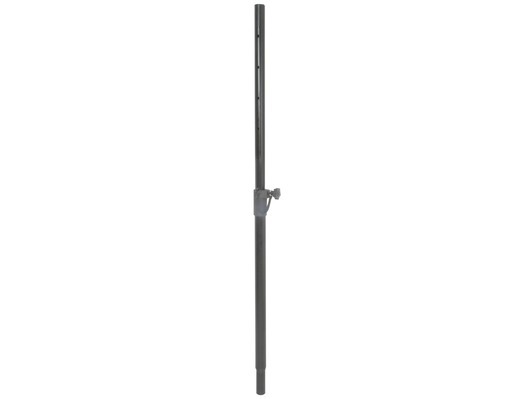 The QTX Sound Telescopic 35mmØ Speaker Pole is an 80cm-134cm height-adjustable pole ideal for fitting your set-up in to areas of all sizes and keeping it looking professional. Although robust enough to reliably hold your speakers and subwoofers, this pole is also conveniently lightweight, making it very portable and easy to set up. Extendable 35mmØ speaker pole for mounting satellite cabinets above bass bins. Various height settings are locked by securing pin. Excellent pole extension, bought to go with the qtx derby par lights as the bar that came with them wasn't very high, this was perfect, great company, fast delivery.